All photos are by Peter Hislop. The stage setup. Pretty cool! 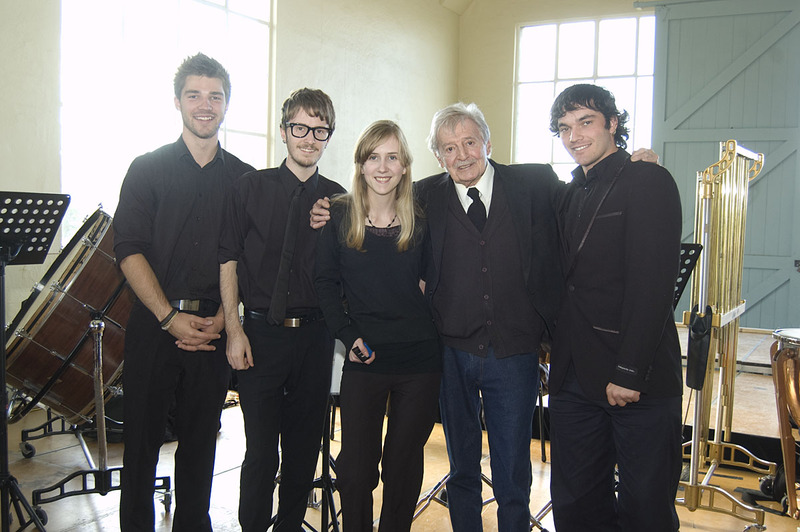 Percussion crew with Peter Sculthorpe. 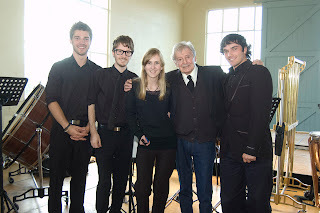 Bryce Leske, Jonathan Griffiths, me (Christina Hopgood), Peter Sculthorpe, Cary Finlay. Gosh you make me miss my own orchestra days!